Sell Us Your Used Copiers! Looking To Sell Your Used Copier? We buy thousands of used copiers every month from companies throughout the contiguous United States of America “USA” and Canada, we pay CA$H up front along with taking care of all transportation costs. When you sell your used copier to us, we prefer to work in groups of 5, 50 or 500 lots of copiers. This is primarily due to the high transportation costs involved in transporting a single used copiers. Larger commercial accounts, dealers, government agencies, universities and school districts are some of the organizations that sell used copiers to us all the time. 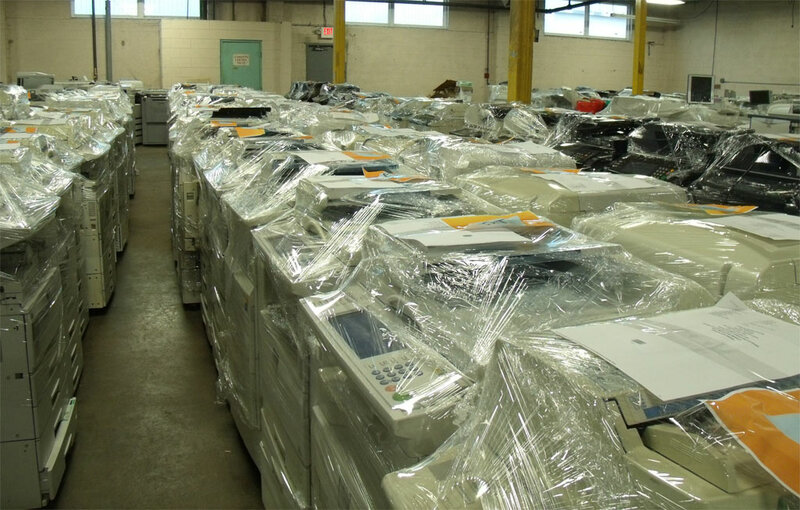 Sell your used copier, used copy machines or used Wide-Format & used Commercial Printers, such as used Toshiba, used Ricoh, used Canon, used Sharp, used Konica used Minolta, used Kyocera, used Panasonic to us, you can be sure we will recycle 100% of this resource and keep it out of the landfill. Sell Us Your Used Copiers, We will buy your used copiers for CA$H. Here are some of the copiers we buy, Canon, Xerox, Ricoh, Konica Minolta, Toshiba, Sharp, Blueprint Printers, Blueprint Copiers, Savin Wide Format Printers, Savin Large Format Printers, Lanier Large Format Printers/Copiers, Lanier Wide Format Printers/Copiers, Océ Large Format Printers, Kip Large Format Printers, Used HP Designjet Large Format Printing, Used Kyocera Mita Copiers, Used Panasonic Copiers, Refurbished Xerox Large Format Used, Refurbished Ricoh Wide Format Copiers, Used Canon Large Format Printers/Copiers, Used Refurbished Engineering Printers, Used Kyocera Mita Wide Format Printers, Kyocera Mita Large Format Printers, Used Refurbished Canon Wide Format Printers, Kip Wide Format Printers, Used Océ Wide Format Printer, HP Designjet Wide Format Copiers, Used Ricoh Large Format Printers, Xerox Wide Format Printers, copy machines and Wide-Format & Commercial Printers, such as Toshiba, Ricoh, Canon, Sharp, Konica Minolta, Kyocera, Panasonic, and Used Copy Machines, Discount Copiers, Off-Lease Copiers, Digital Copiers, Office Copiers, Color Copiers, Black and White Copiers, Multifunction Printers, Wide-Format and Commercial Printers, Large Office Copy Machines, Used Canon Wide Format Copiers, Used HP Wide Format Copiers, Used KIP Wide Format Copiers, Used Lanier Wide Format Copiers, Used OCE Wide Format Copiers, Used Ricoh Wide Format Copiers, Used Savin Wide Format Copiers, Used Xerox Wide Format Copiers. Sell Us Your Used Copiers, we buy copiers for cash and pick them up fast.